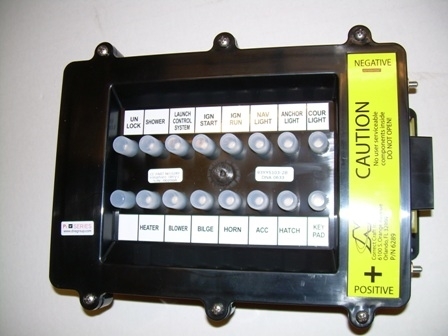 This is the control box used on Nautique boats to control the keypad system and accessories. This is for Nautique models from 2000 - 2002 only. For 2003-20011 V-Drive see part 80098.